Nokona baseball gloves are a part of America’s pastime – baseball, since 1934. Since the company was founded, they have strived to produce only the highest quality gloves for youth, high school and adult players around the world. Headquartered in Nokona, Texas, Nokona is proud that all their gloves are produced in this city by people who live nearby. 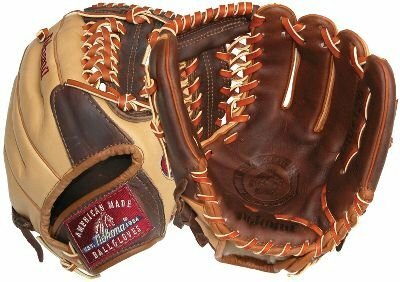 That is part of what sets Nokona baseball gloves apart from the rest of the baseball glove market. When other companies have machines set up to cut and stitch gloves together, each Nokona baseball glove is cut, stamped, laced, stitched and embroidered by Americans. When you purchase a glove from Nokona, you can trust that the product you are getting was crafted by trained professionals. With each passing year, Nokona strives to continue their history of excellence while still improving their products. As the company plans to celebrate their 80th anniversary in 2014, Nokona has enhanced their line of gloves to include the X2 Elite and Alpha Select. They will also have their own state of the art Nolera Composite Padding System in these gloves, improving their overall performance. Their line of fastpitch gloves are made with the Ristankor Closure System protects your hand and makes it easier to break in. Current Major League Baseball player Ross Ohlendorf proudly uses Nokona gloves, while Hall of Famer and Texas Ranger great Nolan Ryan said the first glove he ever used was a Nokona. These gloves that were used in the past and continue to be used today are made with various leather materials from buffalo to bloodline to kangaroo to banana tan. Be sure to leave a question or comment for us…we love to hear from you! Or give us a call at Cheapbats.com.